If the tenacious spirit of the Vietnamese can be symbolised by a place, few sites are more symbolic than Cu Chi. At first glance there is scant evidence today of the fighting and bombing that convulsed Cu Chi during the war. To see what went on, you have to dig deeper – underground. 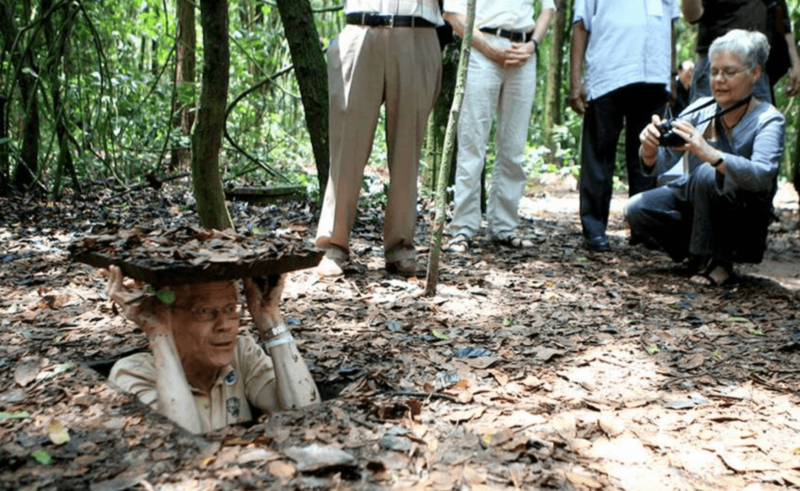 The Cu Chi Tunnels are part of a massive war museum in Ho Chi Minh. 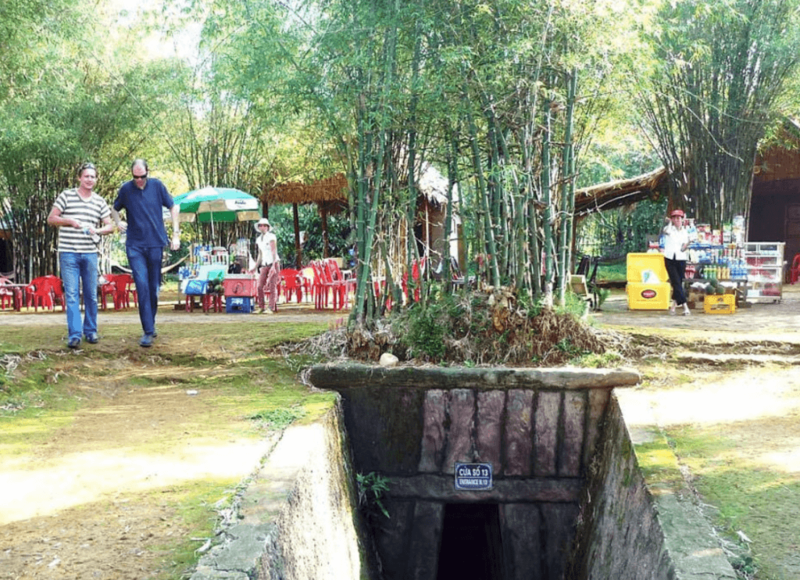 They offer visitors a sneak-peek at the underground life of Vietnamese soldiers back in 1948. The site has over 120km of underground tunnels, with trapdoors, living areas, kitchens, storage facilities, armoury, hospitals, and command centres. 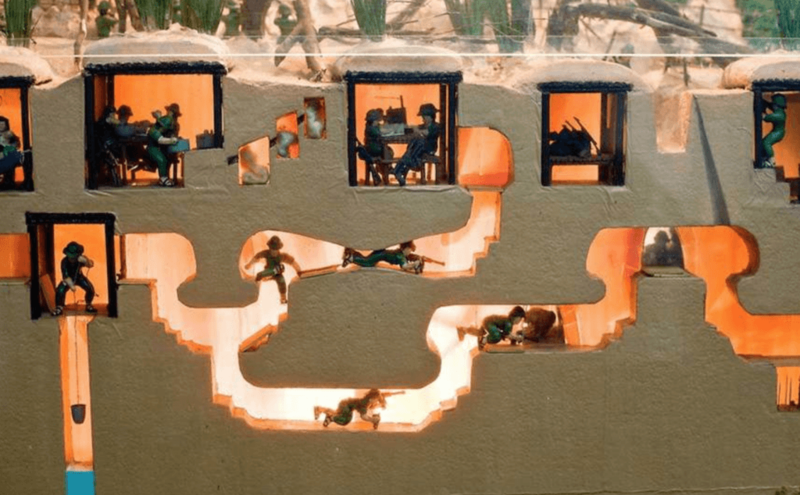 After the war against the French, Vietnamese soldiers expanded the tunnels and included effective air filtration systems, which helped them survive the Chu Chi carpet-bombing. It is now one of Ho Chi Minh’s most iconic attractions. You can enjoy plenty of activities during your visit. A popular option is following the narrow routes of the underground tunnel. Before entering the underground tunnels, visitors watch a short film of Cu Chi Tunnels so that they understand how the tunnel system works. 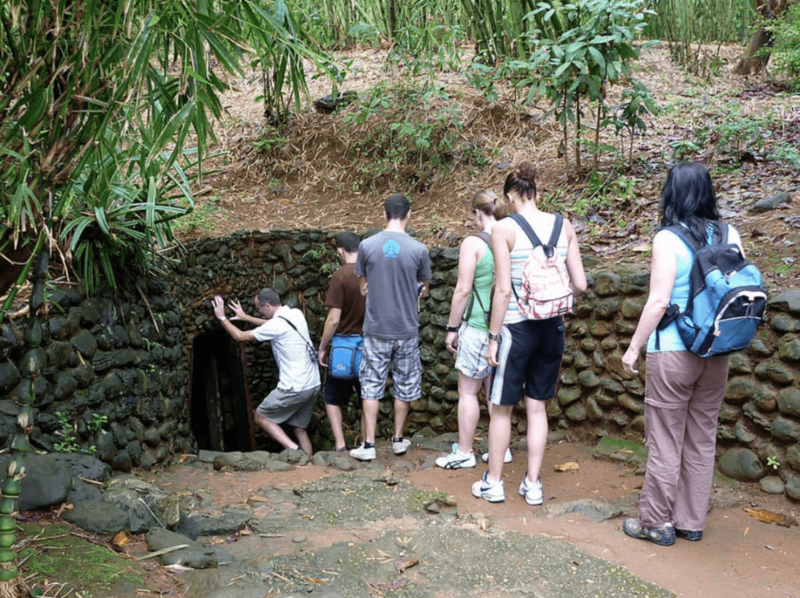 Parts of Cu Chi Tunnels are also cemented and widened, so that the crawl is less harrowing than it would have been in the past. There are emergency exit points every 10 metres for safety.. Do note that the 100-metre crawl through the underground tunnels may be unsuitable if you have breathing difficulties. 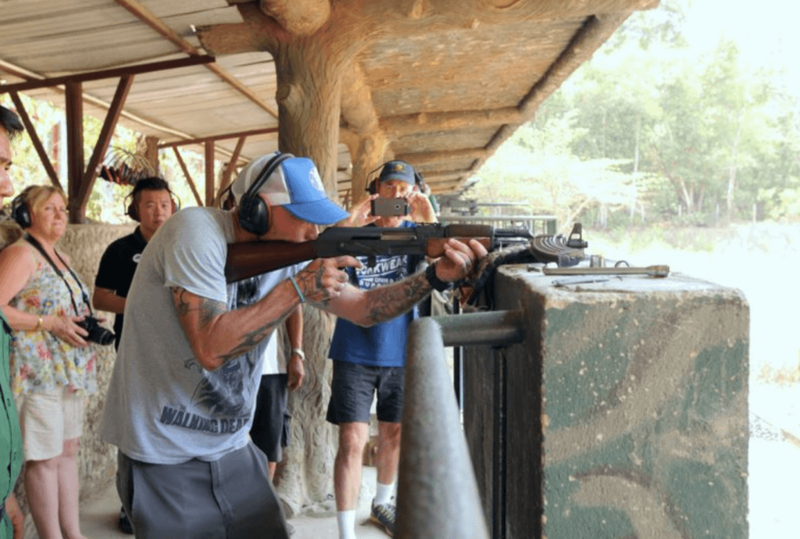 The Chu Chi Tunnels also host a shooting range. The cost for firing an M16 rifleis priced at VND 35,000 per bullet, with a minimum of 10 bullets. There’s a restaurant serving meals that the underground soldiers had to live with years ago. 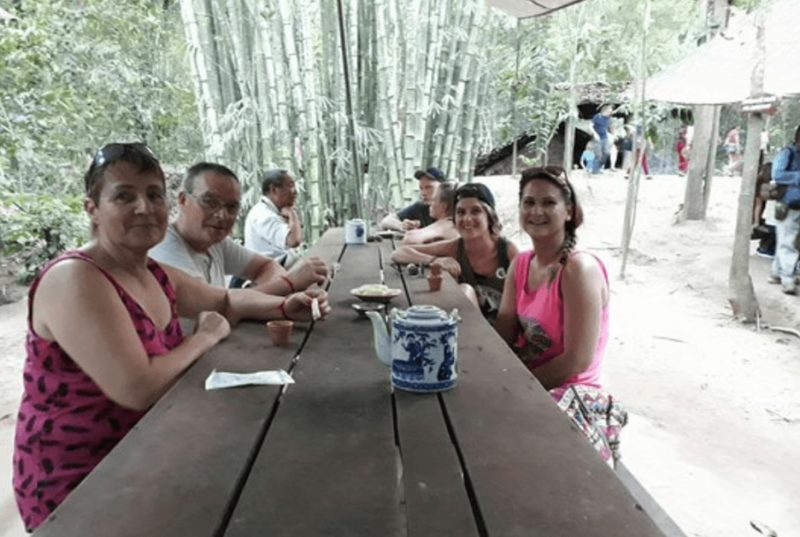 The Chu Chi Tunnels are an hour’s drive from Ho Chi Minh City. 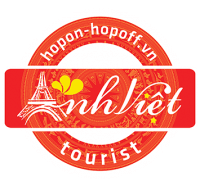 There are tour operators that can arrange for a half-day tour for VND 825,000 upwards. There are a number of stalls selling food and drinks near the entrance. Mid-way around the walking track is a kiosk/restaurant selling drinks and food and ice-cream at reasonable prices, and at the end there are samples of traditional “Tapiaco (Asian Potato)” to try.